I just close my eyes and I'm with you. Miles and miles of empty buckets between us. Thank you SO much for all of your sweet anniversary wishes yesterday in celebration of Glogirly & Gloman's anniversary and Katie's gotcha day! You completely warm our hearts. 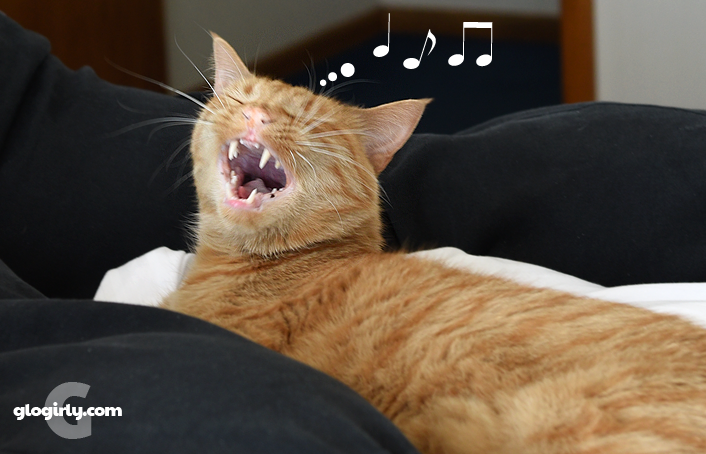 So much so that Waffles just had to sing. Though Waffles was singing the song of his people earlier today, we didn't manage to get any pictures of his performance. Glogirly's been sitting on these photos for awhile now, waiting for just the right love song. Waffles and Chicken. Chicken and Waffles. Last Day to Enter the Talkin' Turkey Giveaway! 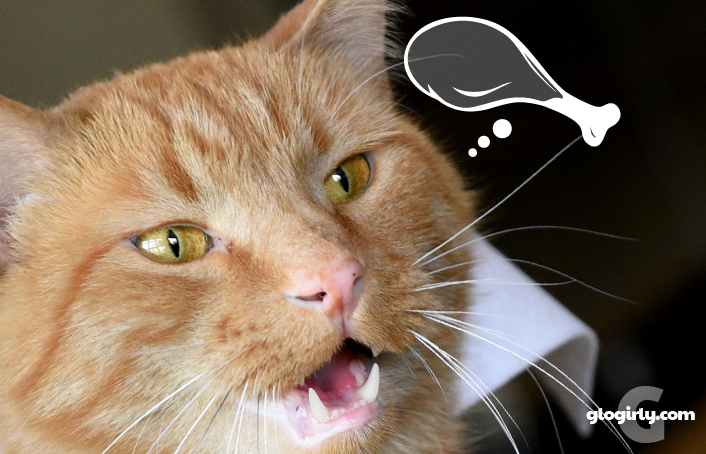 Two lucky GLOGIRLY readers will win a 6-pack of HavePaws Talkin' Turkey Jerky Chips for themselves AND for their favorite shelter. These are break-open-the-cabinets-rip-open-the-bags-DELICIOUS! totally meant for each other. Waffles + chicken = a match made in heaven. Hope the humans had a great anniversary. With those fangs chickens have no chance! 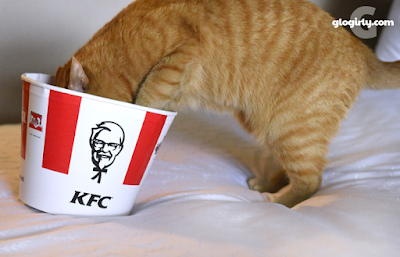 It seems the thought of KFC makes Wafles a very happy cat. Waffles got a whole BUCKET of KFC? Awesome! Mario here: what better way to start the day than with a song from my pal. You are really singing out today. It must be the subject - chicken! Laughing so much right now! Waffles I can hear you all the way in Michigan! MOL! Aaaaaaw Dat's so cute. Weez luv da luv songs too. Course we do purrfur mommy to sing 'em to us wather than da udder way wound. MOL Have a gweat day. You sing so well Waffles. 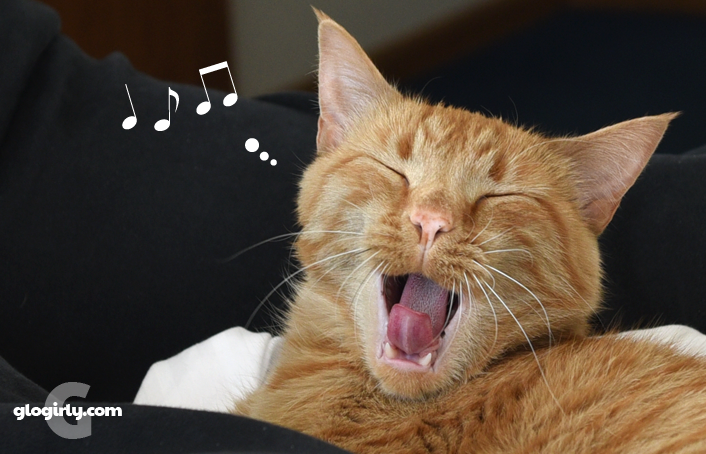 You could sing a love song to us, Waffles! I am not much of a singer. I do talk a bit more now that it is just mum and me. Allie: Oh no you don't. Here, Maxie, I'll hold him. You grab the duct tape.